Description: Perfectly located in one of Boambee East's best streets, this tastefully renovated property offers large living areas, renovated bathrooms and level living. The home has three bedrooms, one of which is extra large with an option of converting into two rooms adding a fourth bedroom to the property. The bedrooms all have built in wardrobes and the main has a spacious walk in robe that flows through to the completely renovated ensuite with extra-large shower and vanity. The two-way main bathroom with separate toilet has also been renovated, with extra-large vanity, and brand-new shower. The huge galley kitchen that was renovated fourteen years ago is still in immaculate condition with brand new Bosch dishwasher and an Euromaid electric oven and stovetop. The flooring has had an update, with neutral tiling adding a modern touch to the contemporary glass splash back and granite bench tops. Throughout the home timber framed windows add both warmth and style, as do the French doors leading into the sunroom with insulated roof at the rear with views of the fruit trees and freshly planted natives in the sunny north facing low maintenance backyard. The other options for living areas are the open plan area off the kitchen and the previous double garage which has been converted into a large living zone at the front. With brand new bathrooms, flooring, air conditioners and blinds, this freshly painted extra-large level home with lots of storage space close to transport, shops and schools is certainly worth an inspection. 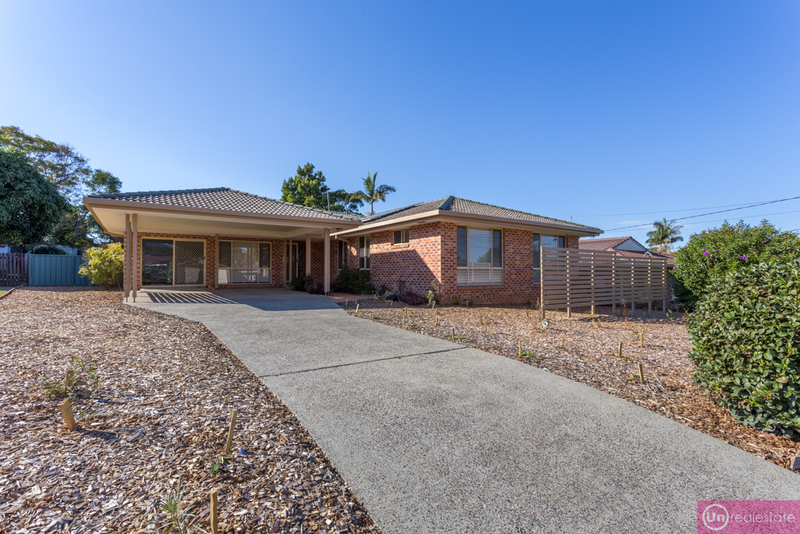 Contact Unrealestate Coffs Coast Today!!! Email Unrealestate Coffs Coast Now!